On March 15, 2010, Momma Opal began our Carova family with a litter of ten puppies. Three generations have produced 46 puppies over the last eight years. 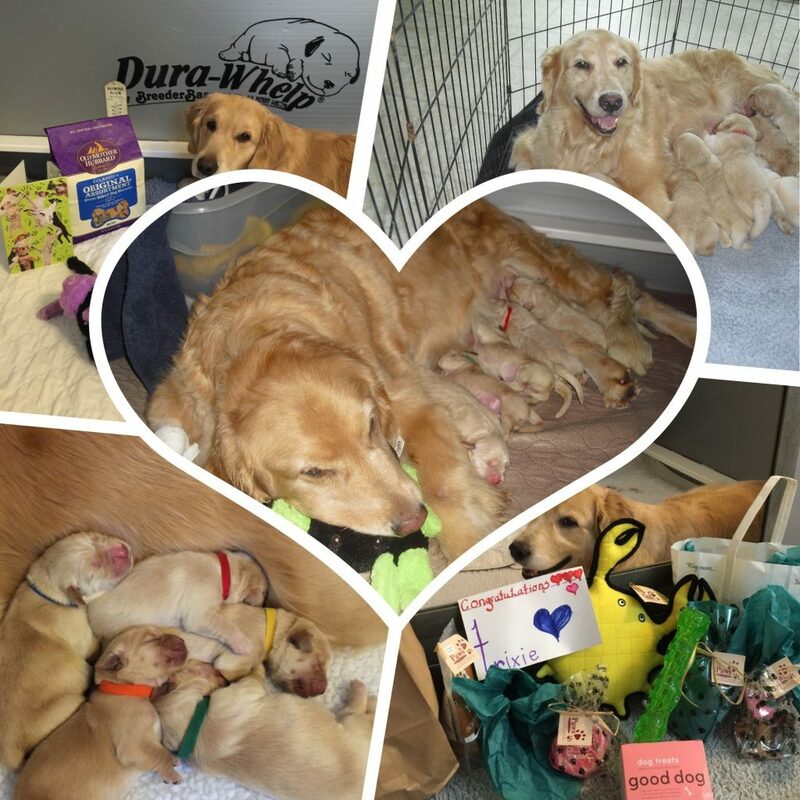 These 46 puppies make up our official Carova Family. All of those puppies are still doing well today. 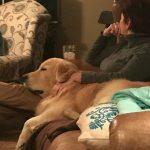 With the wonderful world of social media, FB allows families to stay in touch, post pictures and ask questions in regards to anything Golden Retriever. 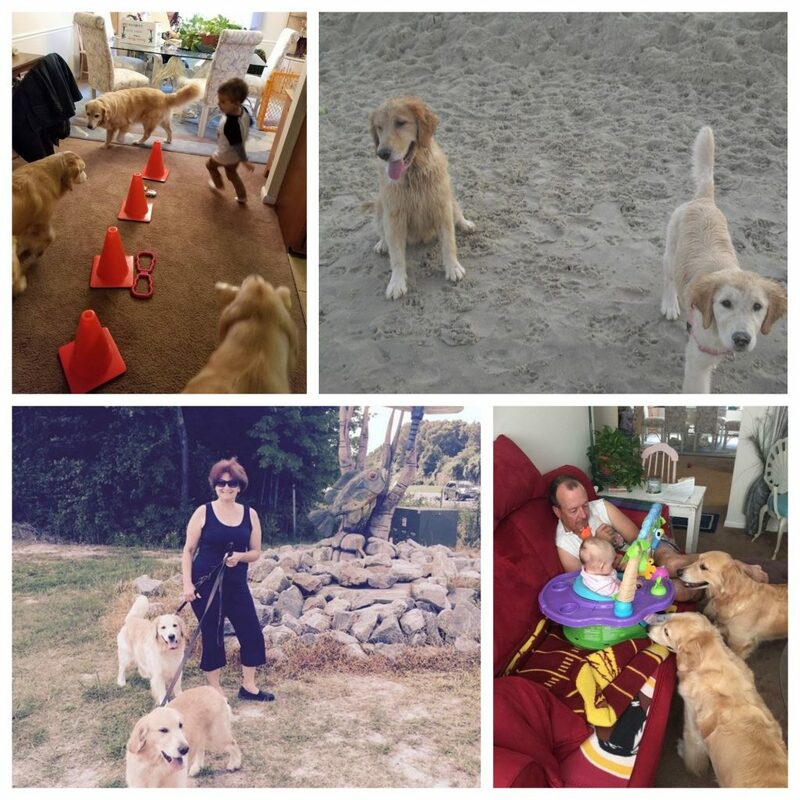 I have a very special Carova Golden Retrievers FB page set up for our families. I hope new families will utilize this technology for the lifetime of their puppies . Opal, Trixie and Gabby . Three generations! Puppies from our home to yours, takes planning. Lots and lots of planning. I often plan a breeding one to two years in advance. It takes time to study pedigrees, get health clearances and check health clearances of generations , not just the sire and the dam being used. 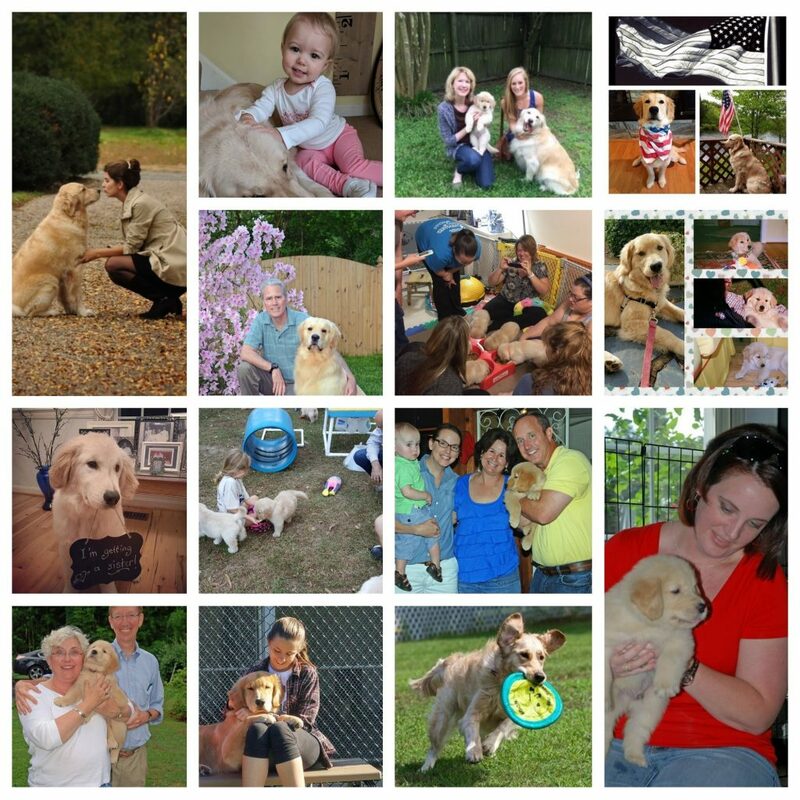 I am a small breeder in Chesapeake, Va. I keep three girls at any given time and once they can no longer breed they stay with us. They are our family in addition to three daughters , their spouses, and three grandchildren. My mentor always said, ” Goldens don’t want to be one of many. They love their attention.” I have held those words close to my heart, limit my number to three, and have developed a way that I can still move our Carova program once these girls no longer breed. My puppies go into a variety of homes. 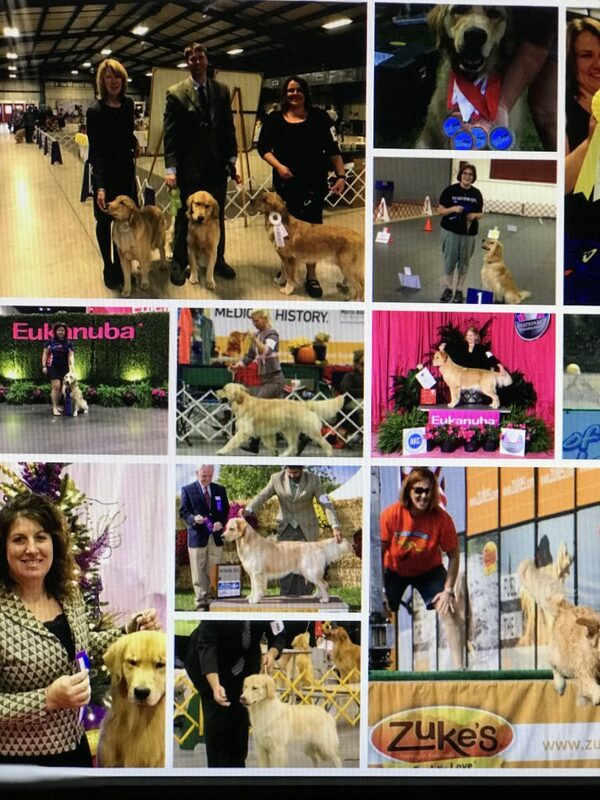 I need puppies in show and performance homes so that we have connections with breeders who share the same goals for our breed. 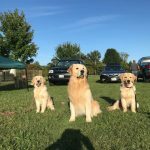 These connections help me find the best of the best to meet the needs of my breeding girls. The puppies used for breeding all help bring diversity into the gene pool helping to create happy healthy puppies for future generations. Puppies who show potential at their seven week evaluations will be placed into homes that allow them to come back for breeding . This is the only way that I can keep our Carova program moving forward . I need awesome pet homes because not every litter will produce puppies that are better than what I have in our breeding program to date. With all the behind the scenes work, our true mission is to have happy, healthy puppies with sound temperaments that embellish your family. Puppies that become a part of your everyday life and share your adventures along the way. As you think about your future puppy, think about what kind of home you can provide. Can you provide a loving home to a pet? Can you provide a show / performance home? Can you provide an awesome home for a female that will comeback to me for breeding so that the Carova program continues ? Can you provide a show home to a handsome boy that can hopefully pass on some wonderful traits to better the Golden Retriever breed? It truly takes a village . I hope you will consider being a part of our family in some capacity. To become part of our Carova family, visit the planned litter page and email me for more information. A reply email will be sent with all the particulars in regards to puppy applications, puppy prices and when a deposit would be due. Oberon becomes a daddy and two of his offspring reside on the East Coast !! Sharon and David Kitchens are two people that I think the world of . 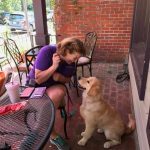 From the moment I spoke with them on the phone, to the moment I showed up with a litter of car sick puppies needing a bath, they made me feel welcome into their lives. I am not a pushy breeder , so to be asked to travel with them to see Oberon show was heart warming. I have watched them give our Oberon so much love and care over the years that I feel blessed to have my first Carova Champion in their hands. Most of all, I treasure them both and love them dearly. Sharon and David are just good people that I have gotten to know over the years. 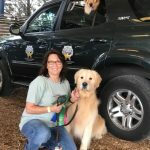 They have made me proud of their sportsmanship at dog shows, willingness to help all family members in any way that they can, and help teach this old breeder about technology. They are a big part of our Carova family. They share the heart of this Carova family with me. The Kitchens bred labs back in the day. I am excited to say that the love of breeding dogs has returned to them with a slight twist. They will be breeding Goldens. I am thrilled and look forward to working together on a breeding or two down the road. They share the same values I do as a breeder, so I expect to see some wonderful puppies from their program. They will be known as Dunkeld Goldens.